Why is Britannia entering an old category that all major players have steered clear of? Making its big debut into a rather long list of products, Crème Wafers is the latest from Britannia to join the ranks in its 'Treat' series. The popular food and beverage (F&B) brand recently launched the newest addition to its line of cream-filled products made famous by the likes of Jim-Jam and others. The newly launched wafers have been introduced with very little or no change in the format and are available in the tried and tested variants of chocolate, vanilla, strawberry, and orange. It will be interesting to see just how Britannia will fare with its foray into this age-old format that major players in the space have steered clear of for so many years. For quite a while, it's been just a few brands like Pickwick, that have stood the test of time leaving an indelible mark on the segment. Pickwick was launched in 1984 and has stuck to cream wafers and cream wafer rolls as its prime business. The brand markets its products as quick snacks. In a press release, Jayant Kapre, Britannia's business head - Adjacencies and New Business, says "Britannia is diversifying into more categories in macro-snacking and with the introduction of 'Crème Wafer' we offer a quick, on-the-go snack. We aim to expand the market and take a leading position over time." The brand also launched a couple of ad films, conceptualised by GREY Bangalore. The wafers are primarily targeted at children between the ages of 7 and13. Cream wafers, as a product, is a good independent snack, but not a good accompaniment to tea or coffee. This is one reason that has held it back from being part of the Indian household. Britannia has to be clear that the buyer of its large biscuit base is not the buyer of the wafers. It is important to understand the target consumer and the keenness to buy. Cream wafers have been a semi-organised business for a while. There is only one major name - Pickwick - and a few local brands. Also, it is not an advertised category and consumers pick it up from experience. To make it a part of the family purchase basket, the parent also has to be convinced. Also, there is a lot of awareness among today's children and they are some of the fastest changing consumers. Unlike the cream wafers from a couple of decades back, today's teen has a host of other options to choose from. While I don't see much competition, one of the primary challenges would be market creation. There isn't a huge market for the product and that's why all the major players have stayed away. This has its own challenges as there is no proven strategy in place. Typically, the marketer would follow and utilise internal learning from the wide experience of selling biscuits. But that will be a roadblock. It's a great opportunity for Britannia as the cream wafers segment has not been properly explored by national brands. Its market is growing since there is a young population and there is exposure to travel. Since no major brand has been able to present the format on a national level, in terms of communication and distribution, Britannia could make a major in-road and also be able to grow the category. The brand bringing alive an old format and targeting it at teenagers also makes sense as a lot of older things are coming back as trends. Take Saregama's Carvaan, for example. Now that it is going to be exposed to the new generation by a very credible major brand, I think there is a high probability of success. There was a gap, a sweet spot in the Britannia portfolio that is now filled. It is that one gap that many other brands have to fill. With existing brands like Good Day, Bourbon and Jim Jam; coming up with cream wafers makes perfect sense. Also, Britannia can actually take advantage of the nostalgia as the format also makes sense to today's adults who consumed cream wafers when they were younger. I expect the category to be opened up by Britannia and competitors like Parle might follow suit. Harish Bijoor, brand expert and founder, Harish Bijoor Consults Inc. It is a sort of re-invention of the category. While the market is largely unorganised, there are a lot of players in the area. Britannia has to create a differentiation for its products - cream of superior quality or maybe low in sugar content. This is going to be a major defining point. In India, the category is not seen as a very profitable part of the market or really large, in terms of volume. It is also inundated by imports. Some of the best quality cream wafer offerings in the market are imported. And an imported product is considered superior. Again, the product is also easily replicable and can be duplicated by a very small player like a cottage industry. However, it is less likely to impact Britannia which, as a brand, operates in the mid-premium space and not the mass market. If it can take over that space, I think the brand will be quite happy. The cream wafer format is popular with young teens and a natural extension for the Britannia Treat range. In spite of it being an old format with many players, the popularity for this snack remains because of the light, crispy codes that the wafer imparts to the product. The launch films leverage the layered cream product equity well, play on school fun and will create awareness. As the launch moves along, to succeed, Britannia's distribution strength will need to play an important role in stealing share. It will also need to create a product pipeline that plays 'snack' more aggressively and gives their product an edge over a lot of players that are in the market. 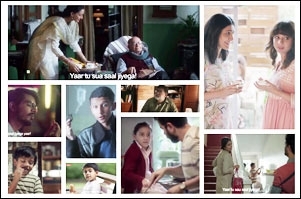 100 years, 10 ads: Does Britannia's centennial media burst cut it?